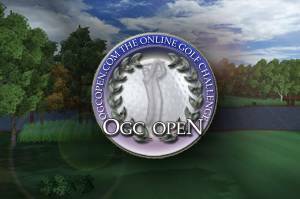 OGC Open - The Online Golf Challenge! Play golf for free!No download and no installation needed. 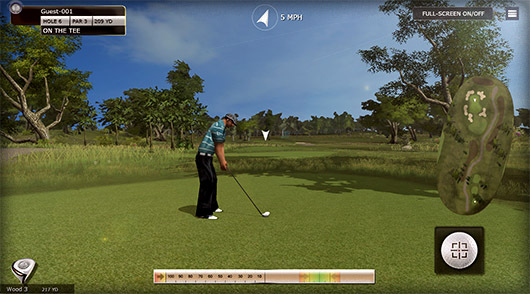 Create your own professional golfer.Experience exciting 3D golf courses & tournaments in multiplayer. 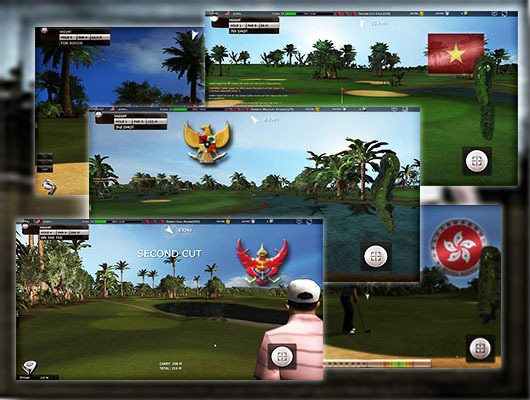 the Southeast Asia region is now completely playable in the Next Generation Golf Client! We hope you enjoy it and wish you continued success and pleasure in golf. TO THE NEXT GENERATION GOLF GAME! in the Southeast Asia region, the first course is now available for all players from level 8. As there is no possibility to unlock regions, we have temporarily lifted this restriction. Qualification for the Hong Kong Daily Masters is possible with a score of +3 (25+3). Further courses for the Southeast Asia region will follow shortly. Feedback and criticism are, as always, very welcome. We wish you a lot of fun with our golf game. 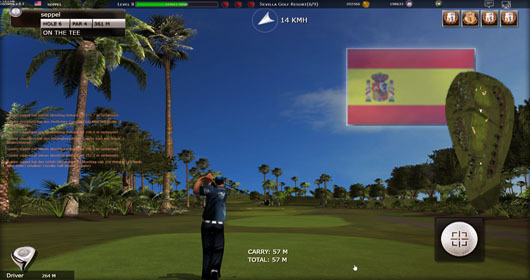 a new 9-hole course is now available for all players from level 5 on Sevilla Golf Resort. With a score of +5 (37+5) you can qualify for the weekly Sevilla Golf Masters tournament. TO THE SEVILLA GOLF MASTERS TOURNAMENT GOES' S HERE! As always, we welcome your feedback and criticism. We wish you a lot of fun and success in golf. Any feedback is appreciate. We wish you a lot of fun playing our golf game. 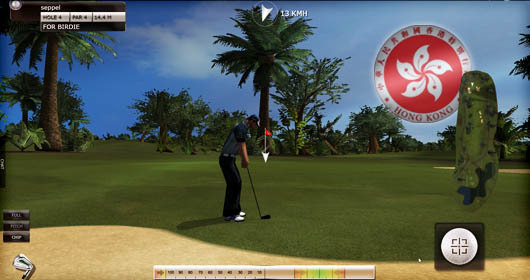 it has been a while since we announced the development of our next gen version of OGC Open - The Online Golf Challenge. But now we are proud to present the first pre - alpha demo course of the game. We have just uploaded a brand new 6 - hole course. Be aware this is just a demo - and our work is still ongoing. Any feedback is appreciate. We hope you will enjoy it and we wish you a lot of fun playing our golf game. our team wishes you a healthy and happy new year 2015! Lots of luck and success, and a good, enjoyable game to all golfers. The OGC Open development team is proud to present a brand new OGC Open Golf Region. Please welcome the United States of America in the OGC Open Golf world. We have created 5 very interesting and varied golf courses. On the west we will encounter the Las-Vegas city cycle - a very beautiful mix of desert an sub tropic environment. This 6 Hole Course will be the first for our players in the USA. Making steps to the north we will find the Yellow Stone Wildlife resort. The 9 hole course is placed inside a awesome nature environment. On our journey to the east we will stop at the Grand Canyon National Resort. This course is not only a very challenging 9 hole golf resort but also one of the nicest. On the nord east we have the Pittsburgh City Course. This course has 6 well designed holes and is very suitable for a quick multi player competition during lunch time. And finally - Welcome to Miami ! Located in the very east of the U.S.A. this 6 hole golf resort is also a very exciting golf experience with a very beautiful vegetation and a nice course design. We would like to thank all of our members for playing the game and supporting OGC Open, The Online Golf Challenge. We hope that you will have much fun with the new courses. Canada Greens reviewed and edited! we have received a couple of suggestions concerning the greens on our Canadian courses. 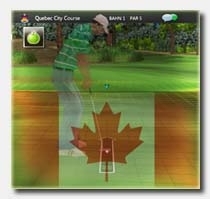 We always want to keep the game as realistic as possible, so we decided to redesign all putting greens on the Canadian region. we are glad to present the new team related features for OGC Open. With this new client update you are now able to create your own golf team or clan. The team ranking list is a separate score table where the tournament results of the team members where cumulated. The top ten results of each team member score are counting. Additional to the new team features we also implemented some new features like the mute / un mute option of a certain player. To mute a player select the player ingame in the lobby menue. On the bottom right side you will see the mute / un mute icon. First, we want to welcome all new players on OGC Open - The Online Golf Challenge. We hope that you enjoy the game just as much as our golf veterans. We have launched a new version of the online game client. Besides many small improvements have been focused more on putting. We have put in much work in recent times to improve the putting stroke. We have it corrected some errors that had previously led to incomprehensible ball behavior during sporting activities. 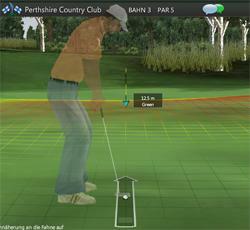 The deflection of the ball at the hole edge is now much more realistically simulated. Perhaps it is you've noticed, is when registering a new golfer will give a friend who receives for his kind recommendation is a small reward in the form of some OGC marks. We thank our golfers and wish you success and joy. Hello community, we have implemented a new "first steps" help website for OGC Open - The Online Golf Challenge. On that site you will find a FAQ section in the future. the last time a lot has happened again. There was a lot of small improvements but also some substantial enhancements. But first we want to sincerely congratulate our winners Season. It was a very exciting round, and in many parts of the world run a head to head. Notice how the winners were, we have our own reward system was introduced. We hope all in-game gift packages have already arrived. We hope that the next Golf Season is as exciting and challenging as the previous one. We have recently worked on a massively improved putting system. The result can certainly be described as successful. Finally, it is possible to Surface flow sufficiently to suggest that the enormous fun on the Green Prepares buoyancy. In this context, we are also all tournament locations gone through and the greens have been revised. The putting is Now a little more demanding but much fairer. We have established a new notice and assistance system. It can be seen via the game Tips are distributed on a blue flashing icon that solemn occasion of the Abolition of the bulb, just something similar to this. We will continue to integrate different places all the hints and tips better To allow explanation of the entire system. Due to the fact that the precision of the discount now strong player owned by the Level of training and equipment status for the corresponding groups of bats depends, we have the power strip both visually and functionally revised. The accuracy range widens now analogous for the corresponding capability. Thus has a higher training / equipment value also automatically affect the accuracy of the discount. In this game you can issue very well understand, if one changes his racket between groups. The accuracy range automatically adapts to the ability value. We still have the coating of the discount implemented. If the strike now running strong, it affects the overdraft on the accuracy of the discount. It should therefore insist be taken not to over Power up his tee. To continue to ensure an interesting and fair competition, we have the System of bats subjected to a range Ballacing. Especially in the lower Level segment, we have adjusted the ranges. As a result, the Training of individual skills is now a greater impact on the game progress. Thus one gets for training in the overall ratio according to more Range and accuracy per skill point invested. This adjustment takes place also at the top by, so that even well-equipped players a little its maximum range had to lose. It should definitely be noted that no one who in the run was well equipped and has played at a high skill level, was at a disadvantage. The range benefits are in fact become even slightly better. Furthermore, you get this update automatically with a better precision and so maybe something similar from the penalty range. We are confident that Ballancing the adjustment to a more interesting and more varied Turnieralttag will perform and look forward to exciting contests. Your OGC Open Team wishes you a lot of fun and a good game! Hi everyone! As you noted, of course, immediately, we have the new OGC Open, The Online Golf Challenge Website unlocked. Your will see, it's all much clearer and more comfortable. We hope that you, the page just as much as we do. So then a lot of fun playing golf. Hello community, today we have launched the new region, Canada. There are waiting four fantastic new golf courses for you. This time we have a very special challenge for our professional golfers, an 18 hole championship course which it has in itself. But the other places you will demand a lot. It can go so wrong, you strapped to the bag and get going in the natural beauty of Canada! Player Malachi finished the Berlin White Lake course with score -5. He starts in the current tourney at the 13th place. Player Wheat4 finished the San Marino Golf Club course with score -5 and increased his position in the current tourney from the 9th to the 7th place. Player Grimm finished the Quebec City Course course with score -7. He starts in the current tourney at the 10th place. Player Ricki finished the Berlin White Lake course with score -9. He starts in the current tourney at the 2nd place. Player Wheat4 finished the San Marino Golf Club course with score -2. He starts in the current tourney at the 9th place. Player Andreas667 finished the Sevilla Golf Resort course with score -6. He starts in the current tourney at the 29th place. Player Grimm finished the Saigon City Cycle course with score -7. He starts in the current tourney at the 12th place. Player Ellih2 finished the Las Vegas City Cycle course with score -1. He starts in the current tourney at the 21st place. Player bg58 finished the Hongkong Royal Golf Club course with score -6. He starts in the current tourney at the 5th place. Player steadygolfer finished the San Marino Golf Club course with score -8. He starts in the current tourney at the 3rd place.